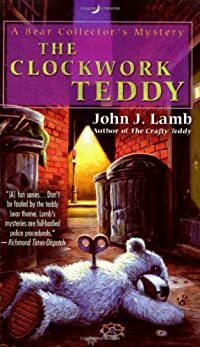 The Clockwork Teddy by John J. Lamb: Synopsis and Online Purchase Options. Synopsis (from the publisher): Sometimes you shouldn't go home again. Brad and Ash have returned to San Francisco for the first time since moving to the Shenandoah Valley and their visit has suddenly turned ugly. While attending a teddy bear show, they witness a robbery and then have a menacing encounter with an ex-SFPD cop with an ax to grind against Brad. That night, a man is murdered at a seedy motel and Brad's former partner doesn't quite know what to make of the unique teddy bear left at the scene. Although they're on vacation, Brad and Ash offer to share their fur-ensic expertise…especially since it will give them the opportunity to work with their daughter, Heather Lyon, an undercover detective on the force.